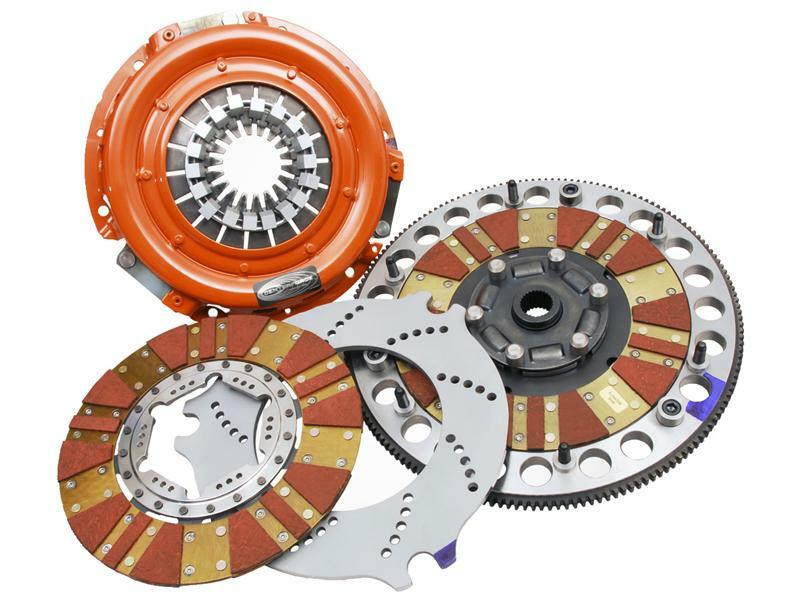 Centerforce Clutch Kit - DYAD DS - Dezod Motorsports Inc - Home of the automotive performance enthusiast since 2002. The DYAD DS (Drive System) multi-disc clutch design has been developed to meet the needs of modern high-end vehicles. Today’s technology has allowed for engine torque levels to exceed 750 ft /lbs of torque and still be driven every day. Drivers need a clutch that offers; smooth engagement, quiet operation, light pedal, and high-end holding capacity. The DYAD DS offers that and much more!